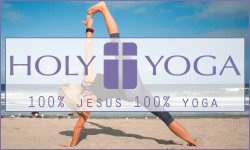 Holy Yoga looks only to the 'Holy" Bible for teachings. It's not about doing all the poses perfect as in yoga and it's not about the teachers personal spiritual path. It's about learning to listen to Him through His Word. The intention is to let go of self, seek a connection with the Holy Spirit through prayer, thanksgiving and praise to God. The fruits of the Spirit are ours by His Grace. We just need to be open to the true peace and joy of doing His will. Psalm 46:10 He says, "Be still, and know that I am God; (not trying to do His job, trust to turning over our cares and let Him be the only God. That's is our intention with Holy Yoga. Yoga is all inclusive. It can encompass whatever one's religion is or not one at all. It can just be used as an awesome cross-training tool! Western and Eastern yoga both differ on spiritual paths. There are no requirements, no competition encouraged or judgment. Yoga is not a religion but is used as a spiritual tool. The yoga breath work and poses scientifically benefit every body type, size or age physically. All students are free to be who they are with a style of yoga and pace for everybody to grow and feel at home. Religious traditions and spiritual teachings are part of the Meditation portion of yoga, classic yoga and eastern styles have roots in Hinduism but they were not the first to practice. 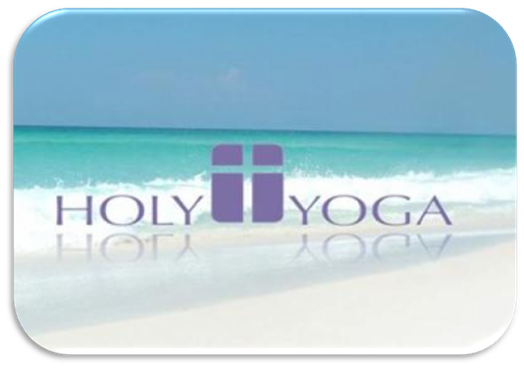 Some newer western styles of yoga have mixed in new age spiritual teachings that can be confusing. 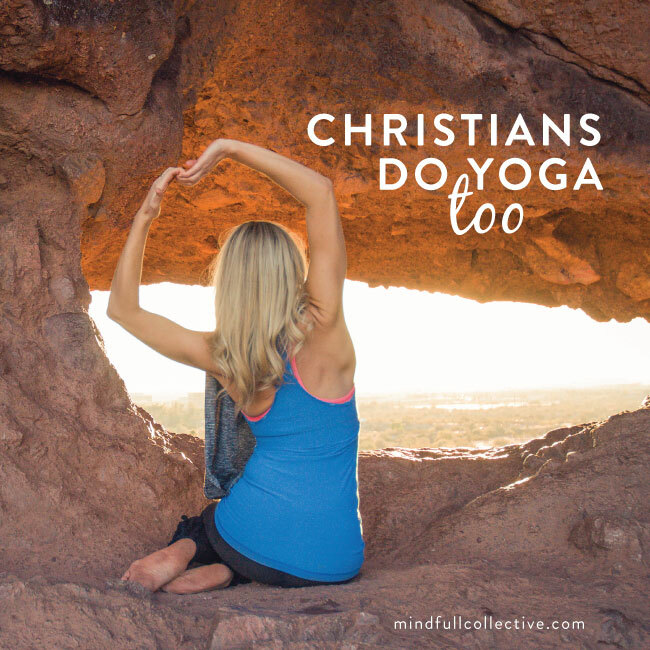 There is never a requirement to do all the poses or to participate in religious/spiritual practices that conflict with personal faith. Most western styles such as power yoga, focus on the breath and asana's, traditionally beginners in practice for 2-10 years in preparations for the spiritual path. 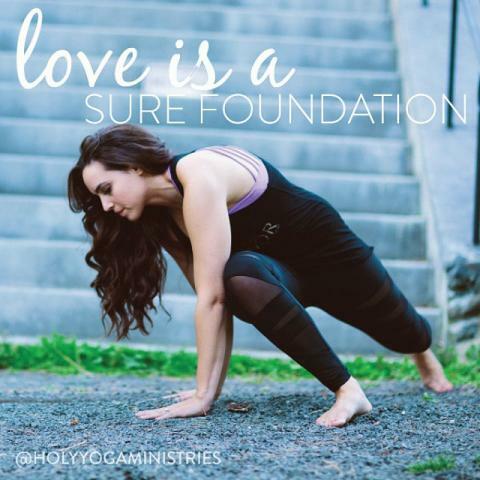 Holy Yoga is a path for Christians or those just seeking to fully embrace and enjoy the practice of yoga, stay true to faith and strengthen a personal relationship with Jesus. Through prayers and worship only to our Father in Heaven, God the Creator of the universe. This uplifting flow practice is designed for all levels and faiths. Slow enough for new students to learn the yoga basics while giving the most advanced student the opportunity for growth. Using scripture as our intention, we will move, breathe, and pray together. The purpose is to bring students to the end of themselves that they might relocate their reliance from self to Savior. Or simply a better understanding of the truth Christian faith, not though a new age opinion, in God's own words. Learning to study (meditate) scripture (God speaking to us) with an open heart. Rooted Down in Your Faith to Rise Up In Your Strength!